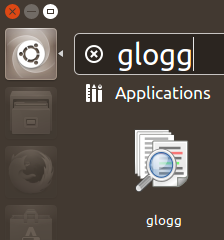 glogg can be started from the command line, optionally passing the file to open as an argument, or via the desktop environment’s menu or file association. 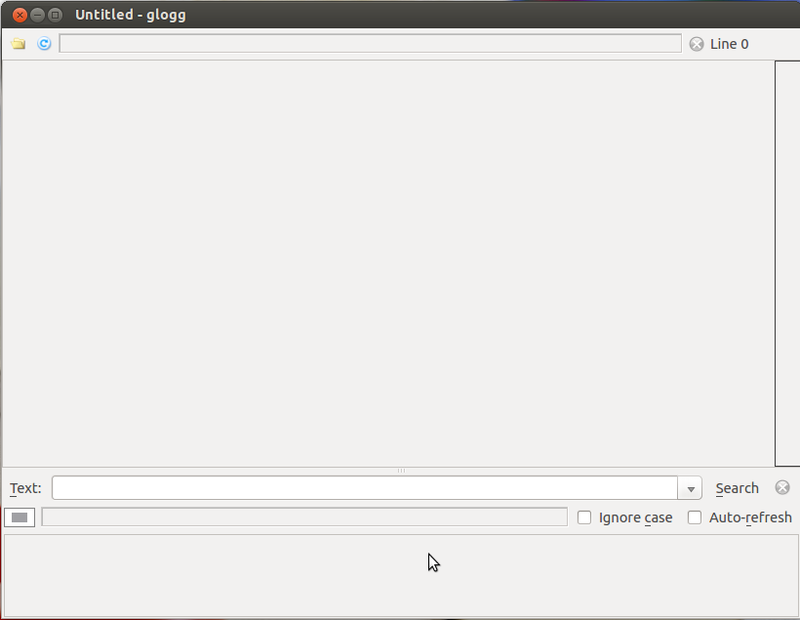 If no file name is passed, glogg will initially open the last used file. 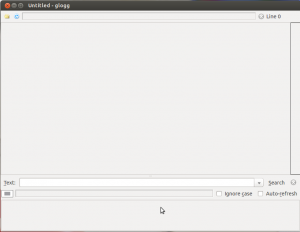 The main window is divided in three parts : the top displays the log file. 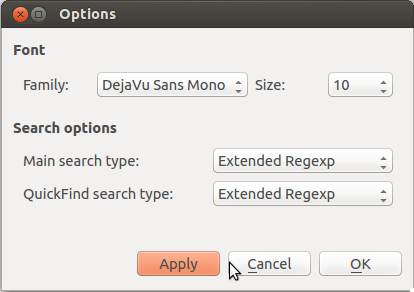 The bottom part, called the “filtered view”, shows the results of the search. The line separating the two contains the regular expression used as a filter.